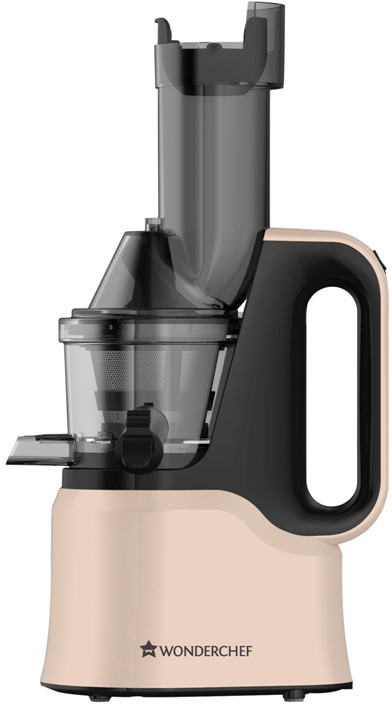 Wonderchef, India’s premium kitchenware company born out of the ‘love of cooking’, has introduced the most efficient and sleek looking Cold Press Juicer which provides juice lovers with some healthy, fresh and yummy fluids actively helping one in losing weight and making the body fit. Wonderchef’s Cold Press Juicer is the ‘next big thing’ that will rule the kitchen space in every household. The uniqueness of the Cold Press Juicer is that it takes in whole uncut fruits which burst of enzymes and essential fibers, giving away a complete benefit from raw fruits and vegetables. It also gives a high juice yield which is almost twice of that of normal juicers and leaves minimal amount of residue. The other benefits are that the product comes with an electro-magnetic induction switch, it functions on low noise with quiet operation. Also, what makes this product a must have is that it is quick and easy to clean and has no sharp blades or risky features. It comes with a reliable 5 years Wonderchef warranty on the motor.